With spring just around the corner, get ready for an explosion of everything floral and pastel! The gloom of winter is on its way and spring holds the magical promise of new beginnings. Your clients will likely come to you with visions of whimsical, Easter- themed tea parties – something straight out of Alice in Wonderland. Spring is definitely an exciting time of year. But, for event planners, it can also be extremely stressful. Not only will clients have larger-than-life expectations, they’ll also want you to make them a reality. Plus, the nice weather means more outdoor parties, more clients, and a hectic time for event planners everywhere! To help survive this busy season, we have put together a list of 7 must-have Spring-inspired décor items. These essentials are perfect for just about any spring event, and are sure to leave your clients impressed! Is it really spring without flowers? Flowers are expected at any event held between March 20th and June 21st! Crowd favorites include roses, peonies, and tulips. But, any flower that comes in a pastel shade will work just fine. 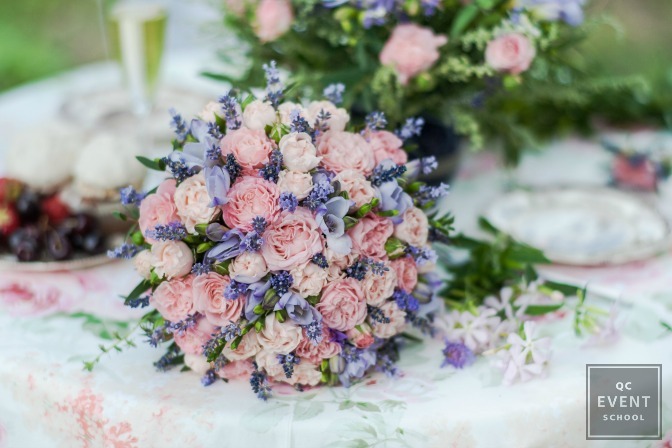 For something less conventional, bunches of lavender, hyacinth, or ranunculus are also great. Soft palettes are very popular right now. Think of lavender and dusty rose. Not every client will stick to the trends though. For something more sophisticated, try an all-white palette and choose flowers with different textures for a luxurious feel. Baby’s breath pairs well with almost any other flower and is great for adding texture. Don’t be afraid to use greenery. Bright green draws attention to the flowers. It also brightens up the atmosphere. Try creating a table runner made of greenery and incorporate citrus fruits like lemons or limes. Sprouts of fresh rosemary can create a rustic look as well. Plus, they’ll perfume the air with a refreshing scent and add an additional sensory component! Use flowers unconventionally to add a wow factor. Create a flower wall for picture taking, or arches to frame entryways and tables. 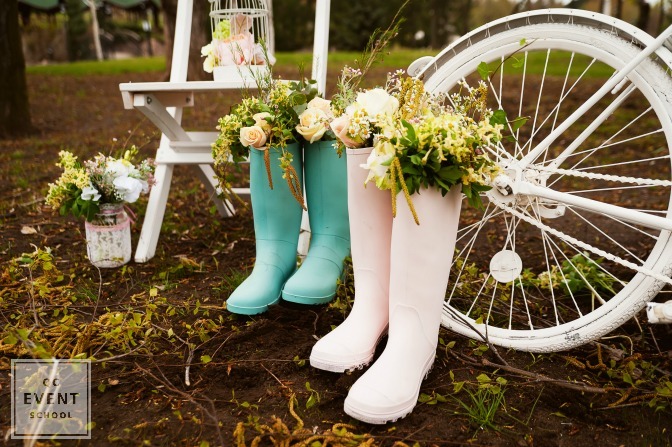 While fake flowers are often seen as tacky, there are some gorgeous options out there. They can be expensive, but investing in your own flower wall can act as a selling point for new customers. With so many flowers, you’re going to need a vase or two! Glass vases are simple and classic – always a good choice. If your client is trendier, try a gold or brass-trimmed glass box. Nowadays, DIY vases are super popular. Plus they’re economical. Try using berry baskets, wooden toolboxes, mason jars, or metal buckets instead of traditional vases. For something more original, try collecting antique tea tins or glass drinking bottles. You can also wrap glass jars and bottles in twine for a country look. For whimsical tea party-themed events, there is no shortage of dishware options. This light turquoise stoneware dish set is simply gorgeous! Made in Portugal and trimmed in gold, these dishes will add a level of elegance to any event! For something more modern try these hand-painted white dishes with gold decals. To create a royal feel, opt for this all-white handmade dish set. With subtle but intricate details, these plates will make guests feel like they’re visiting the Queen of England. Spring is also the perfect time for glass dishes! Using glass in non-traditional ways can add a unique but classy twist. Glass dishes are also perfect when you want to emphasize a beautiful tablecloth or centerpiece. Although beautiful, they don’t distract the eye. For dishes as beautiful as these, you’ll need cutlery to match! This two-toned, brass and rose gold set is both delicate and industrial. This collection is perfect for that client looking for something different! If you’ve opted for all-white dishes or an all-white theme, this completely gold set of flatware will add sparkle without ruining the elegance of your color palette. This golden set with cloud-dipped handles is also a great choice! Is any party complete without the perfect cocktail? We don’t think so either. With increasing popularity surrounding the art of cocktail making – or mixology – beverages have become a focal point for a variety of events. These drinks deserve glassware as thoughtful as their creators! 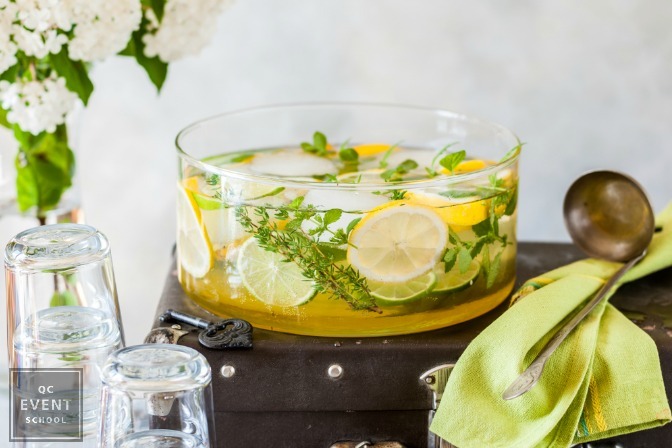 Creating a gorgeous drink table is a double win. A table can act as a self-serve bar and an eye-catching décor focal point. The pitcher you choose will likely depend on the drink you are serving. For example: bowls for spiced punch, decanters for spirits, and elevated glass jugs with easy dispense nozzles for lemonade and fruit infused water. Like the dishware trends mentioned above, glasses with gold trimmings and delicate details are really trendy right now. After all, it’s all in the details! This pink tinted glass set with gold trim available on the Anthropologie website is just what we’re talking about! Available in a variety of styles and shapes, there’s a glass perfect for any cocktail. If you’re not planning on serving a fancy drink, then this Gatsby juice glass set is the perfect way to accommodate without sacrificing aesthetic. With a tinted milk glass trim, this set also comes in pink and blue. Not to mention, there’s no better time than the spring season for a Gatsby-themed garden party. F. Scott Fitzgerald must have known how to throw a good party. Is there anything that sounds more magical than this: “In his blue gardens men and girls came and went like moths among the whisperings and the champagne and the stars”? Instead of a drink table, try a bar cart for smaller events. While bar carts have been considered passé for some time, they’ve definitely been making a comeback in 2018! You’ll find more and more furniture stores carrying bar carts with faux marble and glass surfaces. Some are even gilded! A bar cart is also a great way to display flower arrangements and dishware. We’re in love with this Oscarine Lucite Bar Cart layout! The lighting you choose has a huge impact on the atmosphere of the event. It can also seriously affect your guests’ moods. Candles and twinkle lights are a must for springtime events. 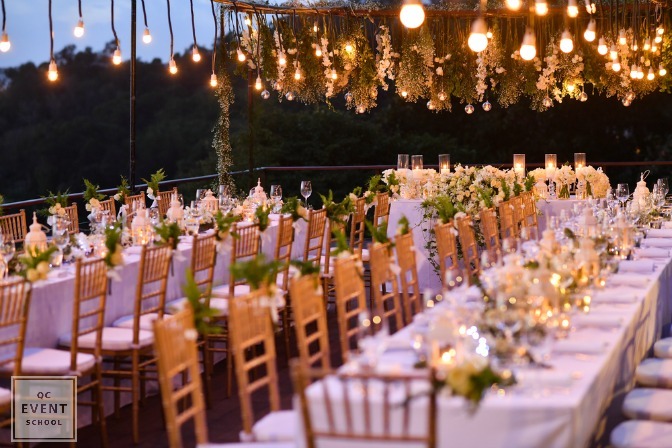 Since many clients will be requesting outdoor venues, dimmer lighting can create an intimate setting as the night goes on. This is especially great for larger venues. Nothing completes a Gatsby-themed night like gorgeous twinkling lights that sparkle as the sun sets. Candles are also a great addition! In case you haven’t heard, sweets tables are the new Bomboniere. Macarons are the hottest dessert trend to emerge in 2018 by far! More and more clients are requesting sweets tables. They usually come covered in delicate French desserts and serving platters. With bakeries continuing to offer up more and more sophisticated options, a table full of candy and petit fours will look as good as it tastes! 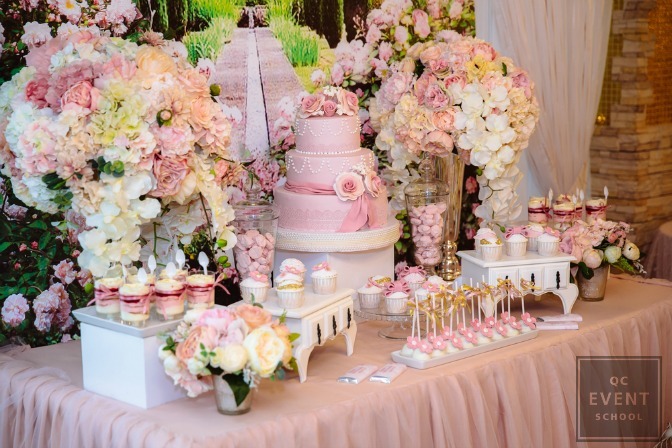 Including a sweets table for your next event will please guests and your client! There’s no doubt that springtime is magical. Rain, on the other hand, is much less exciting. There’s nothing worse than having it rain on your parade – and we mean literally. 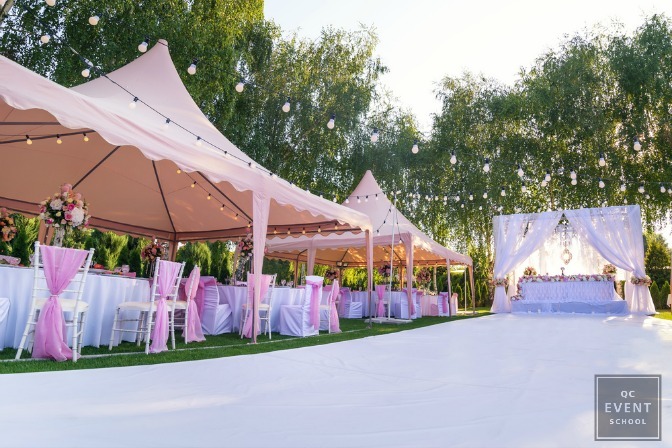 Investing in a tent can save your event, even in the gloomiest of times. While they can be expensive, they can also add to your business. Clients will be happy to save on the added cost of a rental. You’ll definitely be the hero of the night when everyone rushes to the tent for cover! Already have a pile of springtime events lined up? 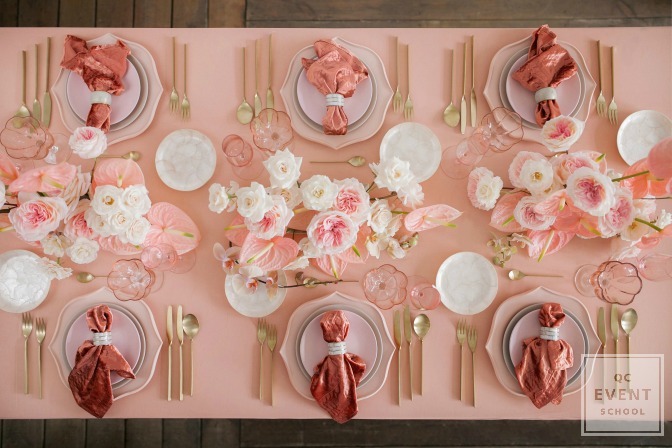 Check out this Guide to Gorgeous Springtime Centerpieces!